My skin and I have never been the best of friends. She’s always super sensitive, and gets into an angry rage whenever I try new beauty products or even when she is brushed during a facial. She reddens, she peels, she stings, and as a result I have to take extra care of what I use on my face to maintain a harmonious truce. Whenever I go for a beauty treatement I make sure that the procedure does not involve the use of a facial brush. Though I do understand the benefits of brushing as it removes dead skin cells and ensures that your face is thoroughly cleansed from the pores, I do not wish to deal with the brunt of the irritation after-effects on my skin. Then I was introduced to the Foreo Luna Family of high-tech silicone cleansing brushes, and I had a change of heart. 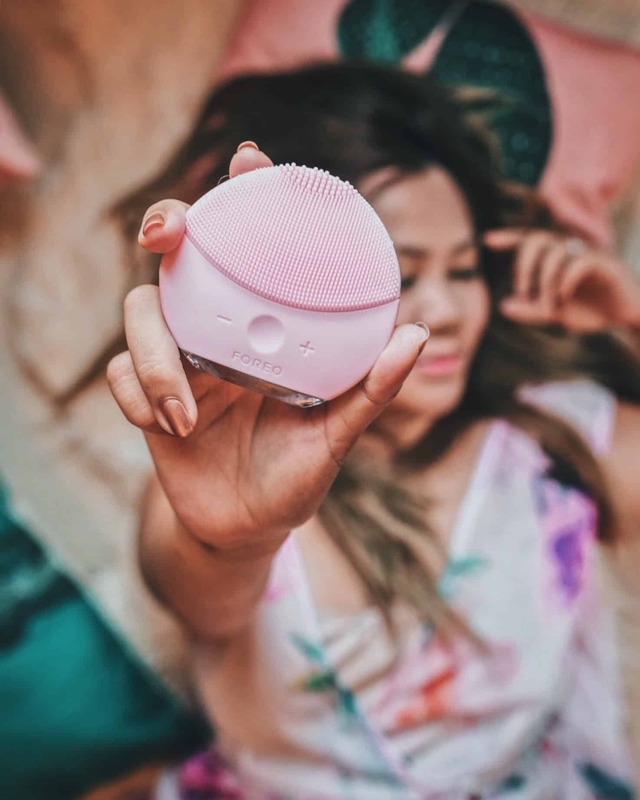 At first look, similar to the bigger Foreo Luna 2, the facial brush looks like a portable speaker in pretty pastel colors. It is curvy with a head of ultra soft silicone bristles on both sides, that together with T-Sonic pulsations, is designed to exfoliate, as well as eliminate makeup, oil and dirt, without causing skin irritation. That was the promise, so I gave it the benefit of the doubt. It’s really easy to use. All you have to do is spritz your face with water, apply your moisturizing facial wash as you normally would, and instead of using your fingers to lather it across your face, use the Foreo Luna Mini 2 brush for one minute. Then rinse. At first my skin felt very dry, most probably because it had been stripped off all residue leaving it squeaky clean, quite like a plate out of a dishwasher, but you also follow cleansing with your regular beauty routine which is applying toner and moisturizer so that wasn’t a drawback for me. For the first week, my face started to peel as old skin was paving the way for new skin to emerge. And it was smooth sailing after that. 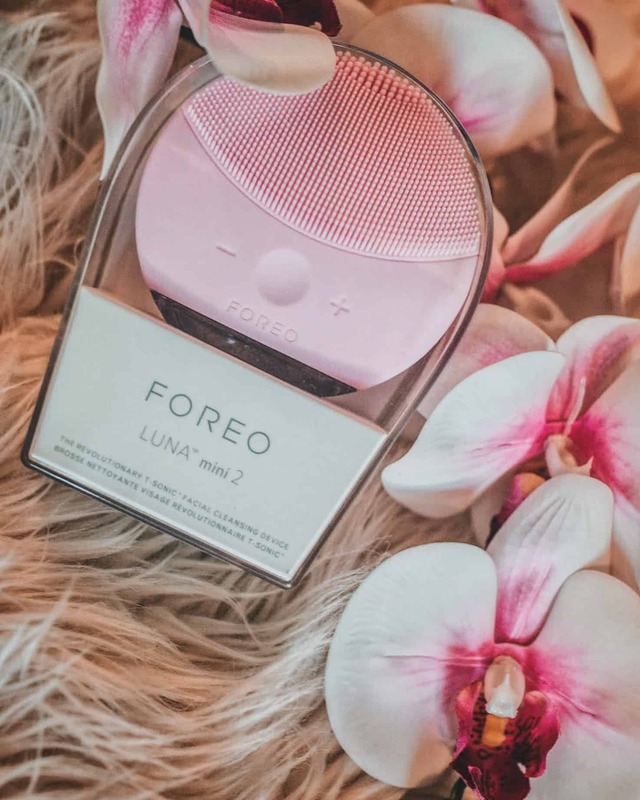 If you’re already using a face brush, the Foreo Luna, is much more economical in it that you do not have to change the brush head for a new one when it reaches its recommended usage. It is hygienic due to its silicone make, which means it’s easy to clean and does not trap dirt between its bristles. It is rechargeable with a very long battery life (up to 6 months) and even though its power plug-in is exposed, it is completely waterproof so you don’t have to worry about keeping it out in the open by the bathroom sink. The pulsations also massage your face. And the benefits of massaging are that it stimulates the face muscles, induces blood flow, which helps to bring oxygen to the massaged areas which gives a healthy glow to your complexion. 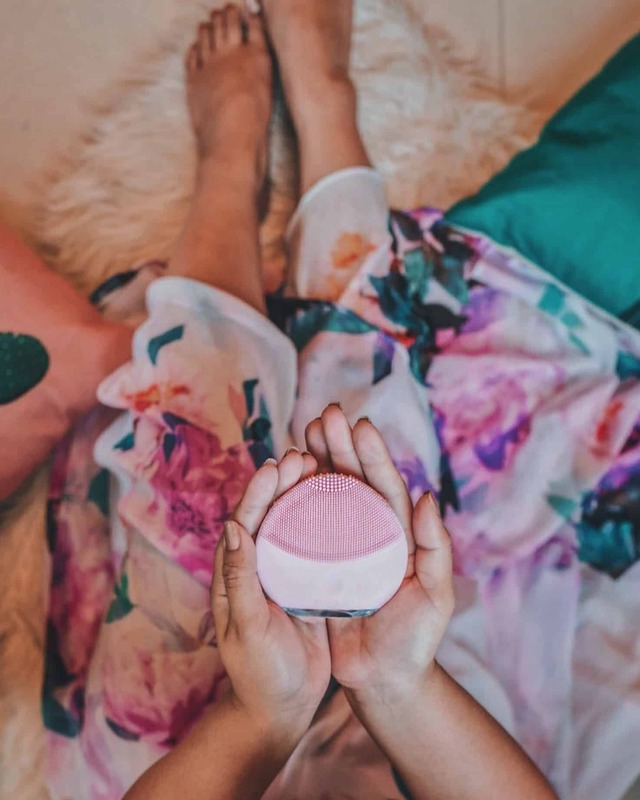 The Foreo Luna Mini 2 in itself is a compact size so it’s great for carrying with you on your travels, and of course comes in 5 colors to match your personality. But don’t take my word for it. 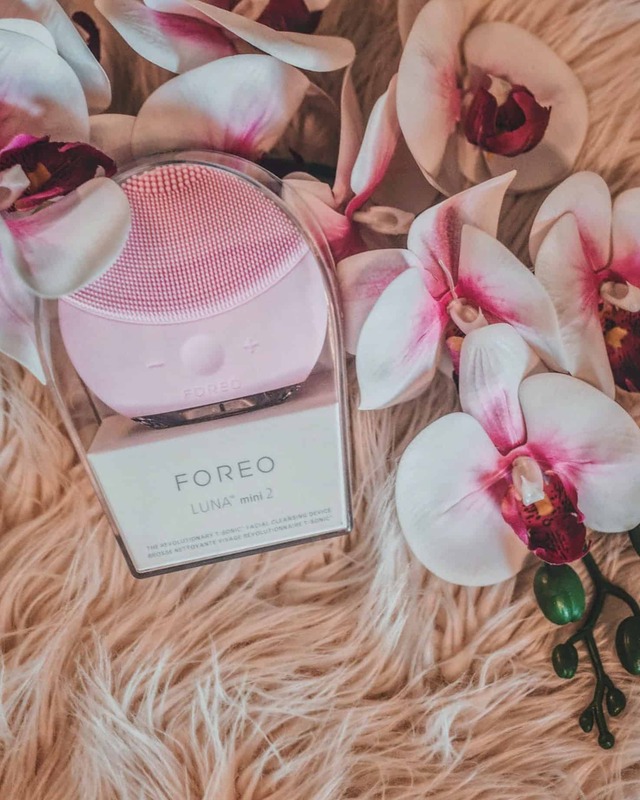 The Foreo Luna Mini 2 is available on Namshi.com if you’re interested and you can also avail of 20% off when you use the code NXFLUNA2U this Ramadan till May 31, 2018.